Trees are a very important part of any property as it makes the land more scenic and appealing to the property owner. Your trees are Treemendous Tree Care’s number one concern. We take pride in our work providing excellent tree care and advice to all of our clients. We know your land and property mean a lot to you and we strive to preserve your landscape so you that you can relax and not worry about the health and look of your trees. Many trees are damaged or diseased without any knowledge of the problem by property owners. At Treemendous tree care we supply you with excellent analysis on the health / status of your trees and can help with any questions you may have in the process. At Treemendous Tree Care, we understand that for most of our Brookhaven customers, tree removal is a hard decision and many clients are unsure if they need work done. As a locally owned business, we are very environmentally conscious and our arborists do all they can to preserve the trees on your land. And if tree removal does become necessary, we take out your trees in the safest and most efficient manner possible. 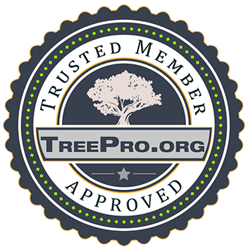 Why is Treemendous Tree Care the Best Choice? We use only licensed, insured and bonded Brookhaven tree removal professionals. The East Coast is frequently hit with storms from heavy winds & rain to hurricanes. There are times when the trees on your property are damaged from a storm and you need immediate assistance. Waiting when your tree has been damaged by a storm can be very dangerous and can lead to worse problems in the future. When you are faced with a situation that is potentially dangerous to your well being, you cannot afford to wait until ‘business’ hours, you need help right away. At Treemendous Tree Care, we have you covered no matter what time of the day or night. Our crews are standing by and ready to assist Brookhaven property owners when the storms come to ensure that the damage to your property is minimized. Whether you have an emergency situation necessitating tree removal or you’re interested in services to keep your trees healthy, we can help! Call the experts at Treemendous Tree Care today at (610) 624-6390 for your complimentary no obligation assessment. We will examine your property and help you decide the best way forward to keep your family safe and maintain the beauty of your home. If you are a homeowner in Brookhaven, call us now for the best service in your area. Treemendous Tree Care Inc. is the number one tree care company in Brookhaven to provide you with any kind of needs that you may have when addressing the exterior landscaped of your property. We specialize in providing you with the tree services you want at affordable rates that are much better than the competition. When you are in need of a great tree service in Brookhaven that provides superior trimming, pruning, and removal services, look no further than Treemendous Tree Care.